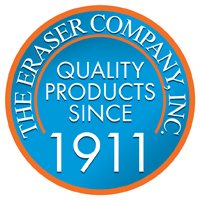 Eraser Coarse Stick Brush 1/4"
Products » Component Preparation » Eraser Coarse Stick Brush 1/4"
Stick type brush with plastic protective covering that is cut back as brush wears. FybRglass® brush is manufactured from spun glass. Brush will not alter electrical properties or contaminate surfaces cleaned.